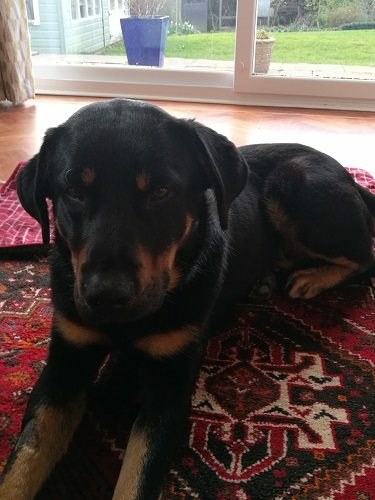 Bernie is a 10 month old male Rottweiler Cross. 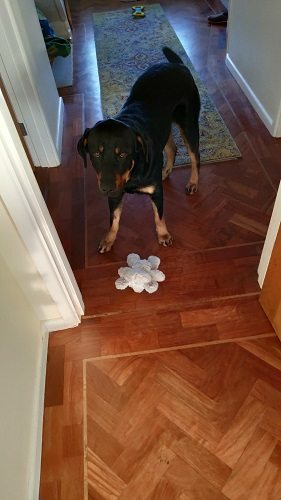 He’s a very loving, energetic and intelligent dog, with a black and tan short shiny coat. Bernie learns quickly and just wants cuddles all the time. Hes a bundle of goofy fun and hes playful, energetic, sweet, beautiful and obedient. He’s a very friendly and loving dog with the most beautiful face and kindest eyes. Bernie was found near the Portuguese shelter one day, his claws were so worn down they were bleeding. He was taken to the vet who fell in love with him, unfortunately her German Shepherd did not like Bernie at all, so she was unable to adopt him. He is house trained and full of affection. Foster Report: He is OK with dogs at home and hes loving and gentle. He’s a fast learner. Likes to run and play. 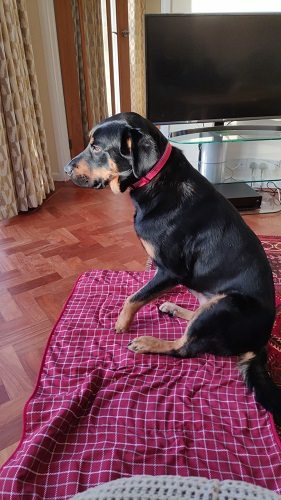 Hes a great boy really friendly and relaxed at home but he is lead reactive and barks at other dogs when he sees them in the street other than that he walks well on lead.House trained and full of affection. He is in foster home Reading UK. Adoption Fee : £165 – to be paid direct to the Portuguese rescue to cover travel costs via UK bank account. 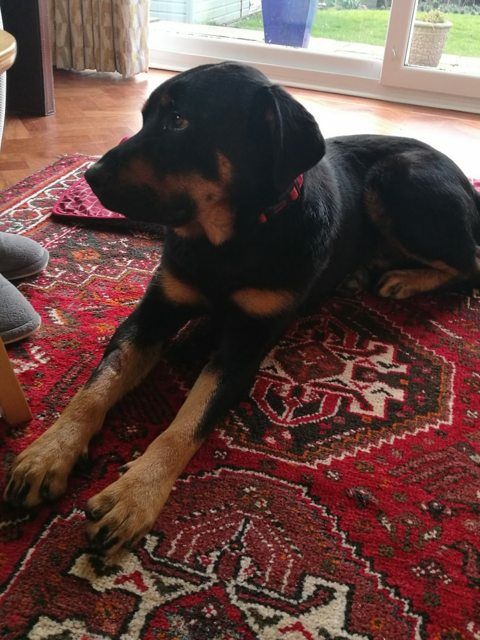 Adopting A DogWatch UK Rescue Dog. 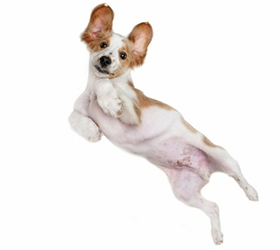 Before being adopted, dogs will have bee vaccinated, wormed and treated for fleas. If old enough they will have been neutered, if too young the new owners will need to ensure this is done. All dogs are microchipped. All new owners can apply for 4 weeks Pet Insurance FREE, to be activated from the link on our website. For Rescue Dogs coming from overseas: This adoption fee is a contribution towards the costs of rescuing the dog including – microchip, pet passport, vaccines, tests for South European diseases, neutering (IF OLD ENOUGH), parasite treatment and transport to the UK. We can not home dogs from overseas to people who work full time or long hours, unless some sort of doggy day care is offered. They need someone at home a lot of the day, they are not used to being alone for long periods. A dog walker for an hour out of the day is not enough. Leaving dogs a long time on their own means they are highly likely to develop separation anxiety which is distressing for them and everyone in their new home.